The Ford Ranger continued to be a bright spot for the American carmaker as the nameplate achieved all-time record sales in the Asia-Pacific region last year—its tenth consecutive year—with retail sales climbing 5 percent to 139,501 units. The Ranger’s record-breaking year was driven by its best-ever full-year performance in Thailand, the Philippines, and New Zealand. It also maintained its multi-year run as the best-selling pickup truck in both New Zealand and Vietnam. Sadly, it’s 11,604 retail sales performance in the Philippines—a 9 percent increase year-on-year was only enough for third-place. Last year, the Nissan Navara overtook the Ranger as the country’s second best-selling pickup truck selling 16,147 units. 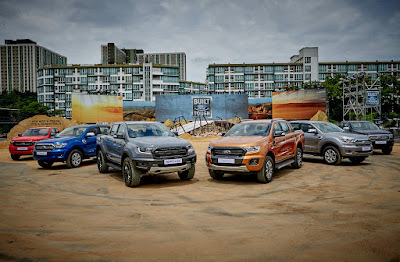 Nonetheless, Ford attributes the Ranger’s strong regional performance with the introduction of the unique high-performance Ranger Raptor which sold more than 5,030 examples since its launch in the region in the third quarter. 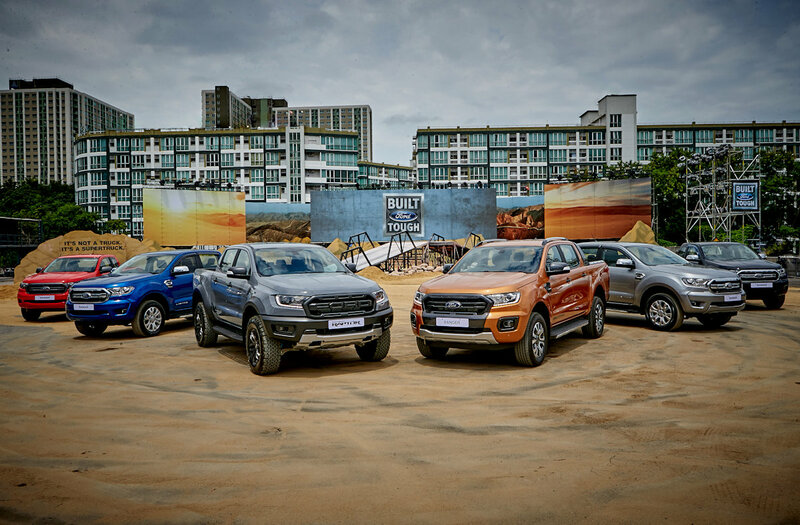 “The Ranger continues to set the benchmark for the pickup truck segment with its unmatched versatility and capabilities,” said Peter Fleet, president, Ford Asia Pacific. “The launch of the new Ranger in 2018 allowed it to continue revolutionizing the segment, with Ranger Raptor pushing its success story to the next level and further transforming the ownership experience for truck enthusiasts across the region,” said Fleet. A freshened lineup of the Ford Ranger in 2018 delivered an even more capable pickup with more class-leading technology, safety and convenience features, including an advanced Bi-Turbo diesel engine mated with 10-speed automatic transmission. Thailand led Ranger sales in Asia Pacific and remained the top-selling Ranger market globally, with sales jumping 25 percent to a record 55,389 vehicles. Ranger’s segment share gained 0.2 percentage points to 12.4 percent and remained firmly number three in Thailand’s highly competitive pickup truck segment. In Australia, Ranger performed strongly in the competitive 4x4 pickup segment with sales reaching 42,143 units. Ranger finished the year as the number two selling nameplate in Australia and achieved its 40th consecutive month among the top five selling nameplates in the country. In the Philippines, Ranger achieved record sales in 2018, with full-year retail sales rising 9 percent to an all-time best of 11,604 vehicles, capturing over 20 percent of the segment. In New Zealand, Ranger was the country’s best-selling vehicle overall for the fourth consecutive year, achieving its largest margin yet with its nearest competitor. Sales rose five percent over the previous year to a record 9,884 vehicles, giving it 26 percent of the segment. In Vietnam, Ranger continued its reign as the best-selling pickup for the fifth consecutive year, commanding a 40 percent segment share with sales of 8,675 units. In Malaysia, Ranger sales rose 19 percent from the previous year to 6,664 vehicles, increasing its share of the segment by 1.4 percentage points to 15 percent and helping it recapture the number two spot for pickups in the market.